Willingness to pay for streaming music has been driving higher over the past two years in our survey. This rising tide has lifted a handful of entities, but our latest iteration pegs Spotify and Apple Music as the fastest runners in the race. Below you will see three important trends highlighted by historical comparisons in our survey report. 1). Consumers are more likely to think only one streaming music option is appropriate to pay for. In other words, in streaming music a jump ball is more of a true jump ball with only one winner. 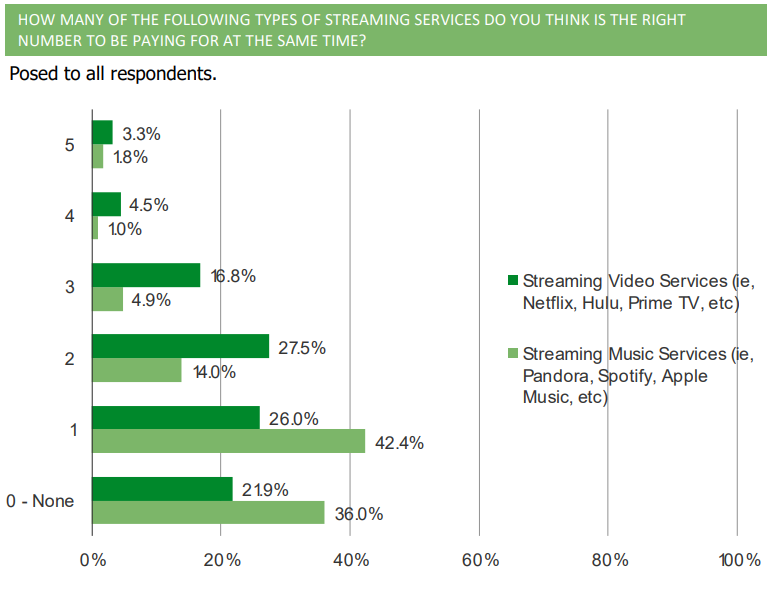 In streaming video, consumers are more likely to have appetite for multiple services. 2). 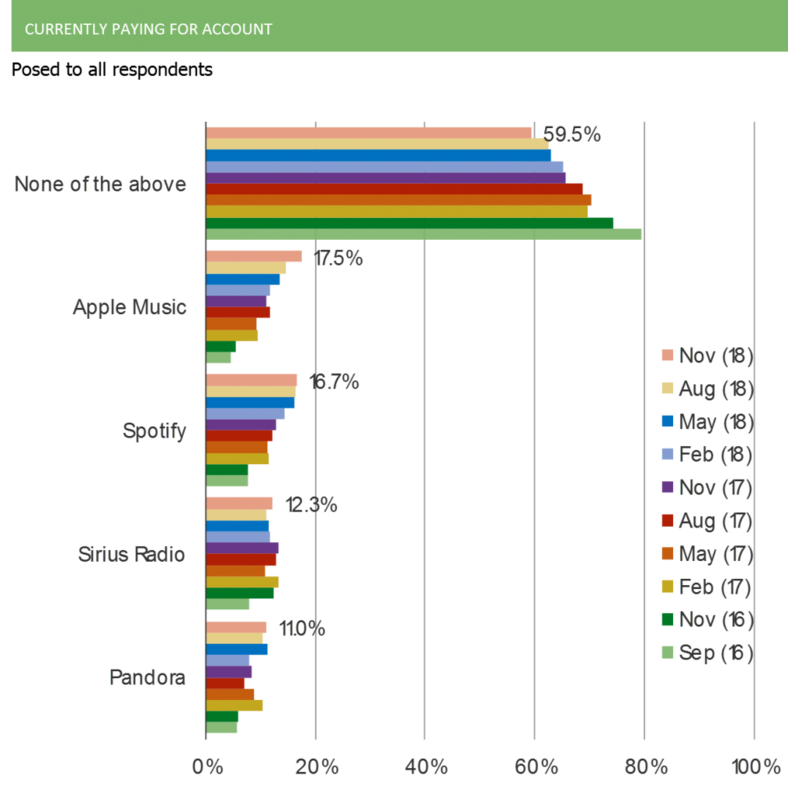 More and more consumers have been entering the realm of paying for streaming music. 3). Spotify and Apple Music have been gobbling up the jump balls most effectively over the past two years. Please let us know if you would like to learn more about our work on streaming music platforms. Our creative questions with historical comparisons make for helpful insights.